The hotel in general wasn’t all that photogenic. Too much vandalism, and too many identical rooms. But this fantastically Lynchian scene in the once plush bar made the whole endeavour well worth the effort. Cheers! Pretty much my reaction when seeing it. Only trouble was the light was almost non-existent, so lots of faffing about with a couple of iPhones to make the shot possible. But definitely worth it. Really happy the way it came out. Yeah, it was definitely a good find. A real treat. Thanks! Good to hear, ‘cos as I explained above, it wasn’t an easy photo to get. That is such a strange find. Even without your title it screams Twin Peaks (https://tinyurl.com/y7n8a9ex). You did a great job with the spotlight effect too. My minds eye sees a scene of someone sat in the chair with the frames stuttering between the castor being on and off. Yeah, the only thing I could think of when seeing it was Twin Peaks. Cheers. All credit has to go to my friend who incredibly patiently stood with 2 iPhones getting the lighting just right while I did battle with a handheld camera that isn’t exactly the best in low light. I know eh? Impossible to think of anything but Twin Peaks. Big fan of twin peaks, big fan of this photo. 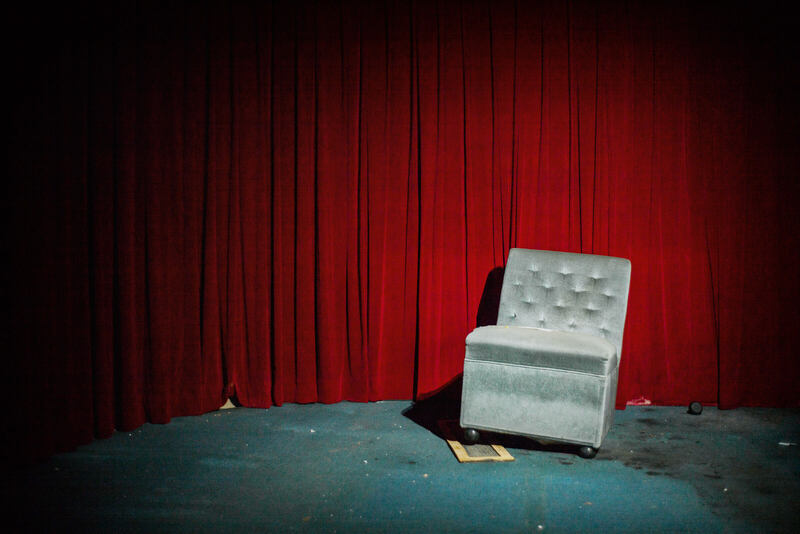 Totally ‘Black Lodge’. Cheers! A big fan myself, so to find it was a real treat.